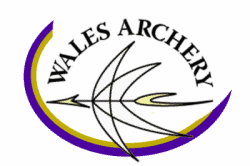 Archery GB has an exciting opportunity for a Squad Administration Officer to join our successful National Governing Body based at the National Sports & Conferencing Centre at Lilleshall. The Squad Administration Officer will be responsible for the delivery of efficient and effective administrative and logistical support to the Olympic and Archery GB funded squads. We are seeking an enthusiastic, motivated communicator who will contribute to the evolution, development and promotion of the sport. Above all, we want to hear from people who are able to make a positive contribution to our Sport, demonstrating flexibility, adaptability and initiative. If you think you have the skills and attributes for this role then we would like to hear from you. For more information about the role please download the Job Description below. Your covering letter (1 page only) should address the following: How your experience, skills and knowledge equip you to excel in the role of Squad Administration Officer. We invite all applicants to complete our Equal Opportunities monitoring process to enable us to ensure the effectiveness of our approach to equality. Please use the link below to access our monitoring form and return a copy with your application. This will be used for monitoring purposes only.